My Favorite Kitchens – What Neat Places to cook! I have a tiny kitchen. It is a galley style. Not much counter space and a small pantry. 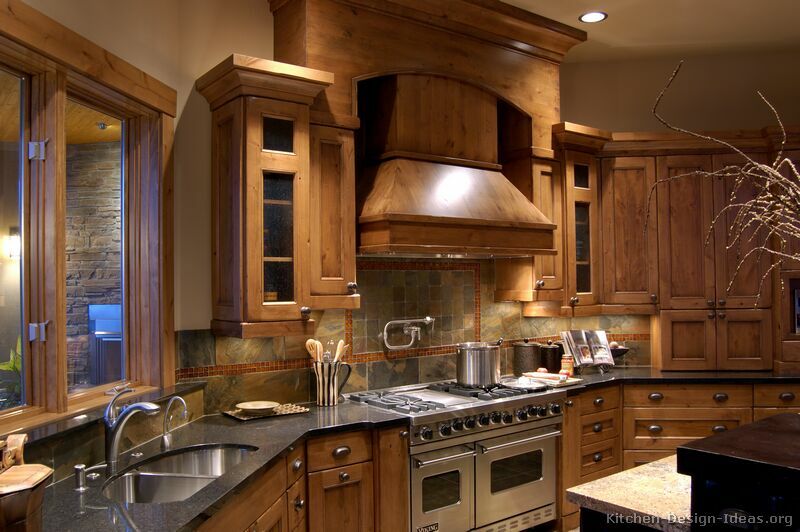 So drooling over pretty kitchens is one of my favorite things to do. I thought it would be fun to do a page called My Favorite Kitchens. These are some of my Favorite Kitchens. Perhaps, one day, one of them will be mine! Click on any of thephotos to go to the original source. 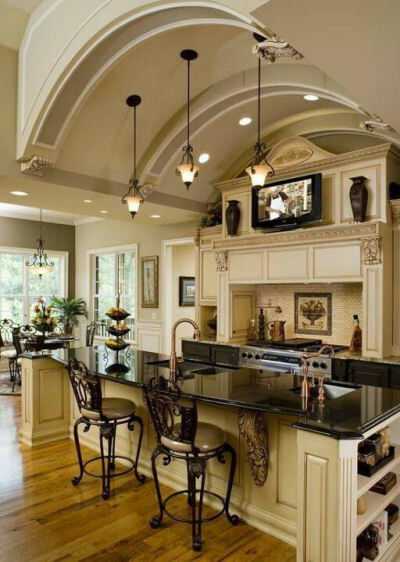 This kitchen has a huge domed ceiling, big island and built in Flat screen TV. What’s not to like? 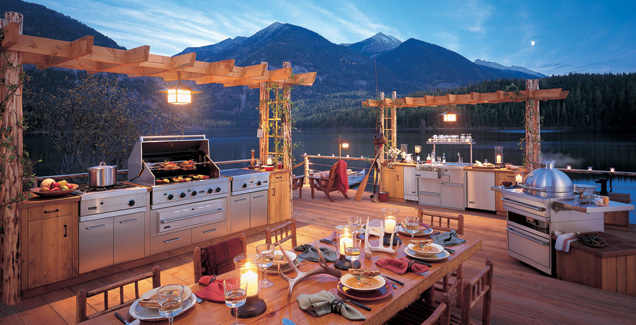 Image from Eagle Construction Blog. I love the dusty green paint color in this French Inspired Kitchen Image from House Beautiful. Those stools go beautifully with the color scheme too. 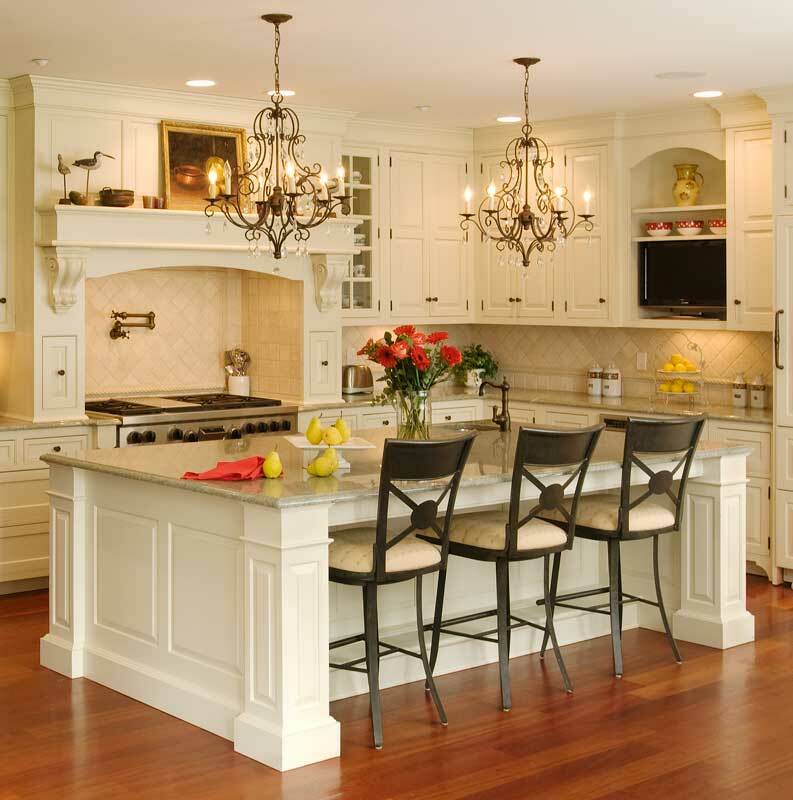 This more formal kitchen has a magnificent island and dramatic lighting. Image from Fresh Home. 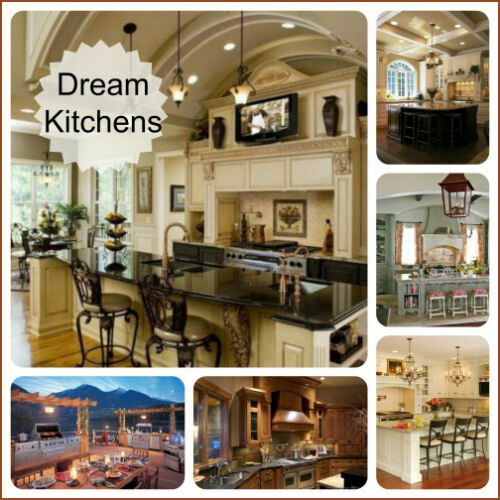 Do you have your dream kitchen or are you still drooling, like me? Which is your favorite design? You have got really a good taste. 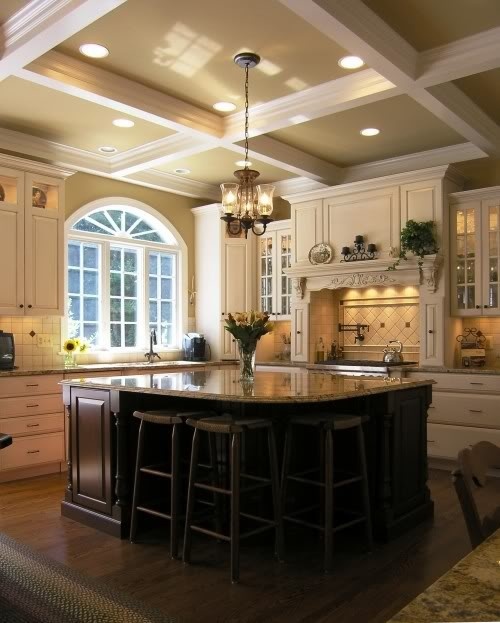 These are some brilliant and beautiful kitchens.